The life force of human beings literally runs in the blood. Add any impurity there and everything will come to a heart-wrenching stop so to speak. Cars are no different. These contraptions have many different fluids swishing around their innards performing the very important task of maintenance. The problem is that in our country there is "bhejaal" for everything. 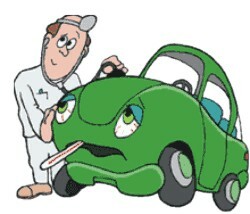 As a result cars breakdown way before their time. Most cars here go through an engine rebuild around 100,000 kilometers. In America, similar cars go through harsher weather and road conditions and still run past 500,000 kilometers with simple regular maintenance. They throw away cars that are in better shape than many of our road going versions. That's only because labour charge for repairs is more than these old cars are worth. With such huge taxes and whatnot, we on the other hand have to stick with the old junk no matter what. The biggest complaint owners have here is about fuel consumption. People say that India has very high fuel prices comparatively but they also on average earn a hell lot more than us. So yes, we whine about fuel consumption that steadily keeps increasing as cars get older. And it's not normal when you consider the rate at which the engines wear out. So how do you make sure that engines stay "alive" longer? Its important to make sure that all that goes inside a car is unadulterated. That means oil changes should be regular and if necessary premium prices should be paid for the premium goods. It helps in the long run. Same goes for an original oil filter that makes sure that the debris in the engine is filtered out and won't block something somewhere. Ditto for the brake fluids and coolant. Sub standard material will just end up corroding devices. What about the fuel consumption? The fuel if adulterated, which it is in most cases, will leave harmful deposits in the engine that will wear it out. Fahim (not his real name) used to work as a pump attendant before he started working as a chauffeur. Its well known that a lot of pumps indulge in diluting octane with petrol as the former used to be more expensive and more in demand as it was better for cars. Of course, that was only one of the ways that the octane was tainted. In fact, a few of the pumps were actually selling petrol under the name of octane. The pump owners vehemently denied but did grumble that "some" dishonest owners indulged in some activities. So how do you detect poor quality octane? New cars especially with big engines will guzzle everything and you won't know a difference. Older cars especially with EFI engines have a habit of making a metallic knocking sound during brisk acceleration when the fuel is foul. Good fuel will give you smooth performance even if the car is fully loaded up with the aircon running. It is not a sure fire way but it is quite reliable. When the tank is nearing empty fill up a little and then test the fuel. Personally I have found that octane from certain pumps allow me to travel one kilometer further with each liter. That adds up to ten extra kilometers of traveling distance for every ten liters of fuel I buy. Which are the best pumps? There is no best filling station. You just have to find the one that is the least bad. Just because one pump has long queues does not necessarily mean it serves good drinks for your car. The stations in Mohammadpur are an example. People just go there because it is convenient. Better pumps are available further past Shyamoli. Give your car the right type of fuel and it will run longer. Also, don't drive as if a bulldog has its jaws clamped on your buttocks if you want to save on fuel. We were very fortunate to get a very short holiday and hurried to visit Johannesburg. While we were on our way to Johannesburg, I was thinking of the clash between white and black people, which did not resolve that time, though sincere efforts were being made by both racial groups to find a mutually satisfactory way in which to live together. To both black and white, South Africa is their home, a home to which the visitor is welcomed. I heard once, scarcely a century ago, that Johannesburg was a rough, tough mining camp. Today, it is the third largest city in the African Continent with its skyscrapers and a few needle like towers that give Johannesburg a youthful brashness, which even the blocks of modern offices and flats cannot conceal. Johannesburg is Africa's most densely populated residential areas--a polyglot flatland where office workers and students rub shoulders with immigrants from a multitude of countries. In its streets, the visitors are likely to hear French, German or Italian exchanged by the pavement strollers as English or Afrikaans. To South Africa's 16 million black people, Johannesburg is still the "Gold City" and it is, in fact, the centre of the Republic's industrial heartland whose factory produces everything from jet aircrafts to cosmetics, and gumboots to toothpaste. We visited the different malls and found out that in malls and arcades such as the rotunda beneath the famous CARLTON CENTRE, you get every thing from Japanese transistor radios, leather goods from Italy, German cameras, to haute couture Parisian silks. I marvelled at the luxurious lives these people are living. But all this time, I have not seen a single black African, as I heard from my husband that they all live in SOWETO the suburb town, home of an estimated million black people. The blacks comprise Africa's main labour force and Soweto earned international notoriety from political protests which sometimes erupted into violence, like any other city, it is the home of millionaires and paupers, of saints and sinners; but social lines demarcated by wealth or occupation are less rigid. I was very much eager to meet any of the famous 'witch doctors' who are looked upon as angles in Africa. I heard from my Botswana polytechnic's colleagues that these 'witch doctors', or 'Diviners' are the readers of signs and bones, often ostentatiously displaying the trappings of their trade, and decorating the walls of their establishment with colourful symbols that are an eye catching mixture of signs representative of both pagan and western beliefs. A mixture of soothsayer and psychologist, it is the diviner, often mistakenly labelled a witch-doctor... who intercedes with the spirit of the ancestors and acts as the channel through which the wishes or advice of his forebears are conveyed to the supplicant. These 'diviners' act as terrestrial go-betweens, usually undergoing a rigorous apprenticeship before beginning to practice their art. Methods differ from tribe to tribe, but the 'ailments' which they treat are generally the result of social or spiritual stress, frequently psychosomatic, and heightened for many newcomers to the town-ships by the conflict between tribal and western culture. - One of South Africa's best-known witchdoctors, CREDO MUTWA caused a furore amongst his peers when he published two books -- Ndaba my children and Africa is my witness -- which purported to reveal the history of southern Africa's blacks and their medical and spiritual 'secrets'. Where the 'diviner's skills are mainly psychological, his counterpart, the herbalist, provides 'MUTI' or medicine in the form of pills, powders, philters and potions -- and even charms or amulets. Modern research has proved that the base of many of these medicines is pharmaceutically sound. Both blacks and whites often own herbalist shops. I do not know whether Credo Mutwa is still living or not but that time during 1991-92 he was enjoying a thriving business. We went to see the bird park, where I was amazed to see the different shades of colours on the giant sized Macaw. I felt the birds were painted because the colours were so bright red, peacock-blue, green, yellow and orange; it was a wonder to look at. We saw 200 years old giant tortoises that were moving freely amongst the visitors. I looked at a few toddlers who were so excited that they were screaming with happiness and were almost running with their shaky steps to touch the tortoises while behind them ran their mothers, trying to catch their babies before they had any chance to satiate their curiosity. The disappointment made the babies cry a lot and this was another scene to enjoy. My five year old daughter was very independent minded; she did not like to be noticed and taken care of while we were inside the park. Even then I maintained a reasonable distance and kept an eye on her. - Next day, I mean on the second day, we went to see Johannesburg's famous goldmine!